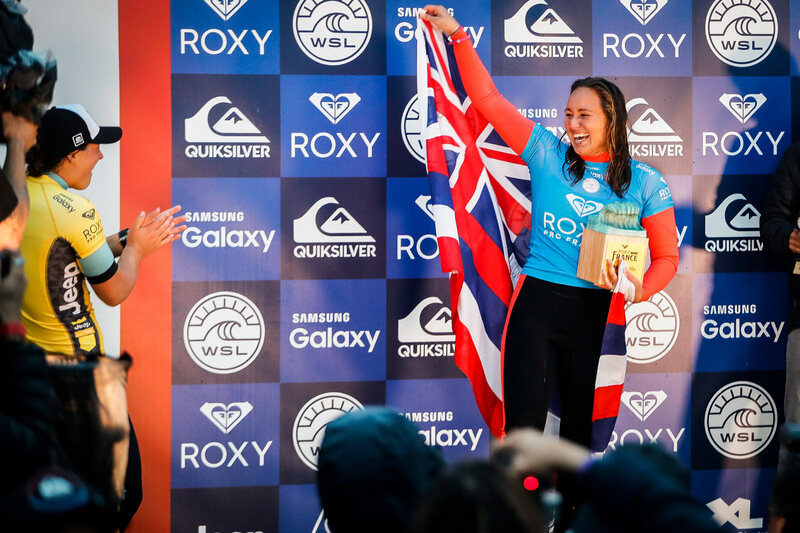 With a week of World title buzz on the streets and beaches of Hossegor, It didn’t take long for a new World champion to be crowned on finals day at the #ROXYpro France! If you didn’t catch any of the action, here’s how it all went down. Lay days are made for adventures, and today was no exception. With the swell struggling to build for the final rounds of the #ROXYpro France, we packed the car, hit the highway and headed to Biarritz for a day of wandering the coastline and sampling some of our favorite French treats. After a big day of heats at the #ROXYpro France and in preparation for #ROXYfitness Hossegor on the weekend, we took some time out at the end of our day to R E L A X with some yoga and a healthy dinner, hosted by the gorgeous girls from revelbiarritz. If you’re looking for some tunes to stream while you’re watching the #ROXYpro France this year, look no further! We threw out the challenge to our followers to build the ultimate mixtape for our time on the Basque Coast and here it is. Huge congrats to Tyler Wright for taking a second consecutive win at the #ROXYpro France ahead of Hawaii’s Tatiana Weston-Webb. After a string of lay days, the #ROXYpro kicked off yesterday in pumping Hawaiian-style conditions at Les Culs Nus beach, near Hossegor. The girls made the most of the epic swell, scoring barrel rides and the first perfect 10 of the competition. After sitting out the last 6 events on the Women’s Championship Tour due to a lay day surf injury incurred during the Margaret River Pro, Steph is back in the water for the #ROXYpro France. And we don’t know who’s more excited, her or us! The first day of the #ROXYpro France announced a lay day so we sat down with team rider Chelsea Tuach to find out whats going through her mind entering the #ROXYpro wildcard at just 19 years old. It wont be long now, until we are welcoming the top 17 surfers back to France for the #ROXYpro! Stop #9 on the WSL Women’s World Championship tour kicks off from October 6th-17 along the Landes Coast, which has some of the best (and some of our favorite) beachbreaks in the world. 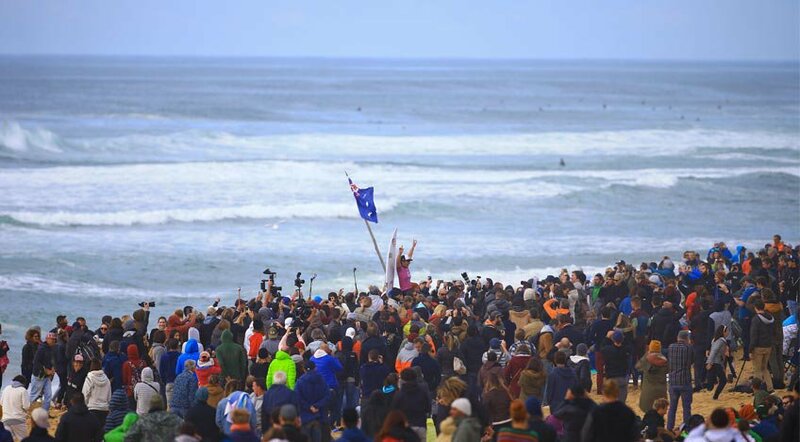 On Sunday 28 September, Australian surfer Tyler Wright dominated in the final heat of the contest against American Courtney Conlogue. 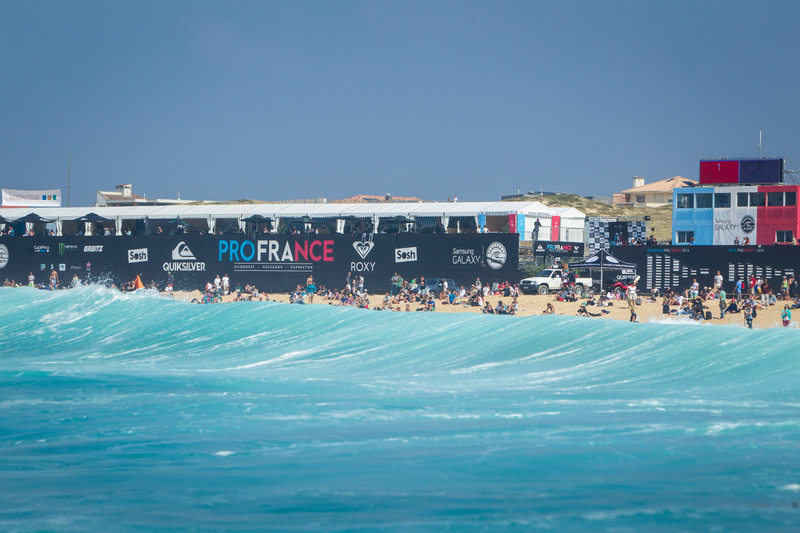 The matchup took place in Hossegor-Seignosse, France at the ROXY Pro, which is stop #8 on the Women’s WCT. 20-year-old Tyler Wright produced a near-perfect final score of 19.20! Wright earned two nine-point rides on back-to-back waves with extreme creativity on the lip. 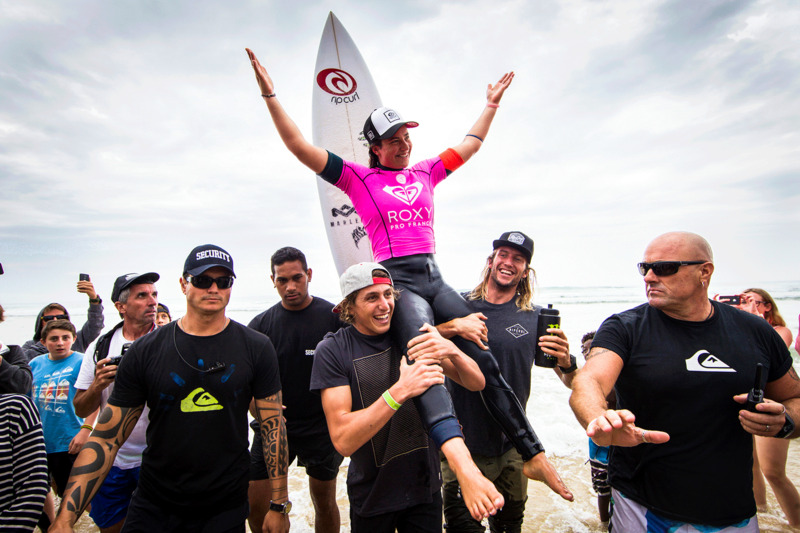 Conlogue, looking for her first event win of the 2014 season, defeated ROXY surfer Sally Fitzgibbons in the quarterfinals. 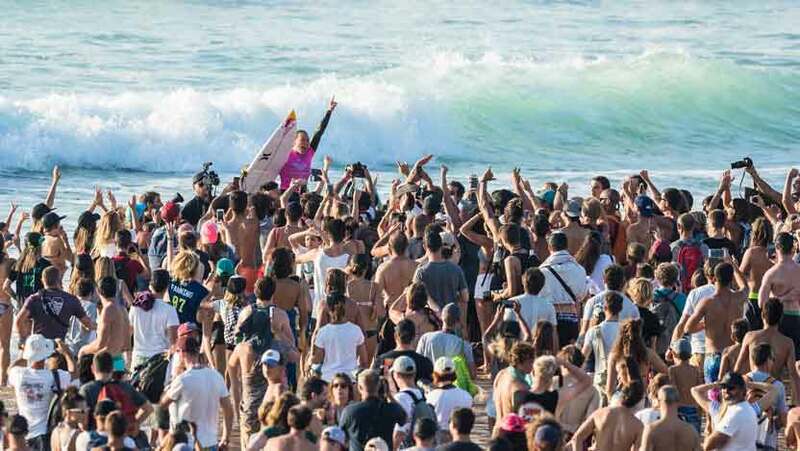 The quarterfinal round of the ROXY Pro kicked off today, with ROXY surfers Sally Fitzgibbons, Stephanie Gilmore and Bianca Buitendag all competing in this elimination round. Go With the Flow - #ReadySetROXY Yoga! Namaste! 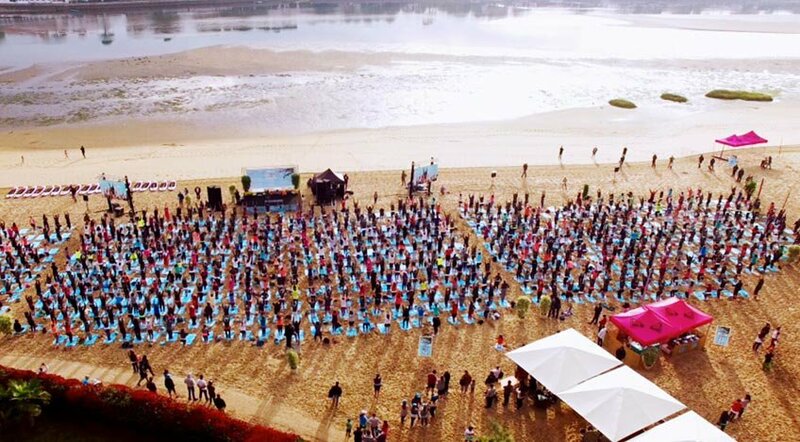 In between surf sessions and adventuring around the south of France, we always make time to nurture our bodies with some yoga. 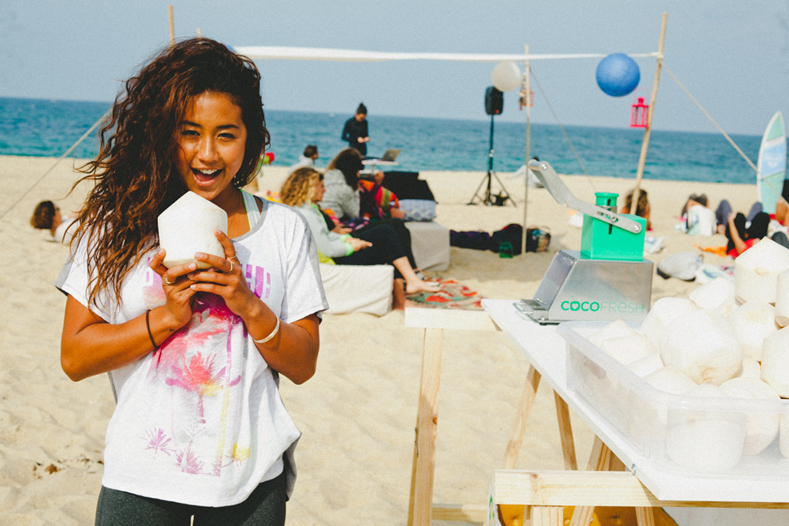 During the ROXY Pro France, we introduced an entirely new way to enjoy one of our favorite activities – yoga on the beach, complete with a live DJ set and a fresh coconut water bar! We want your help in getting Rosy Hodge ready for tomorrow morning’s ASP broadcast during the ROXY Pro France! 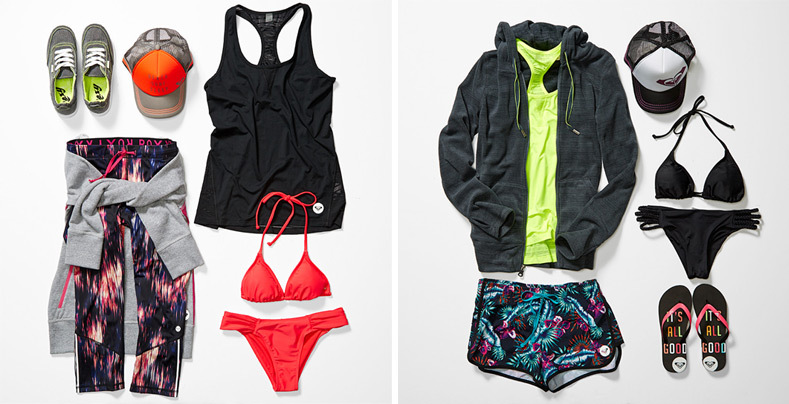 She loves to wear a mix of Outdoor Fitness pieces along with her favorite bikinis, so which look would you rather see on Rosy? The swell we’ve been waiting for has finally arrived in Hossegor and Rounds 1 and 2 of the #ROXYPro France got started today! 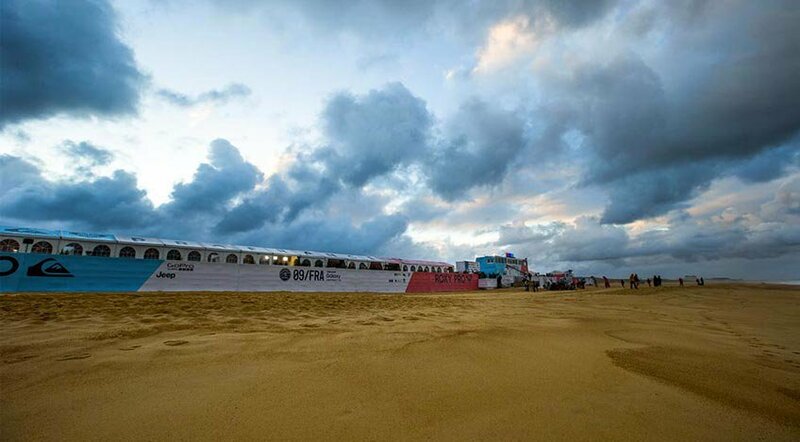 Stop #8 on the ASP Women’s World Championship Tour brings us to Hossegor, France for the 2014 ROXY Pro France! 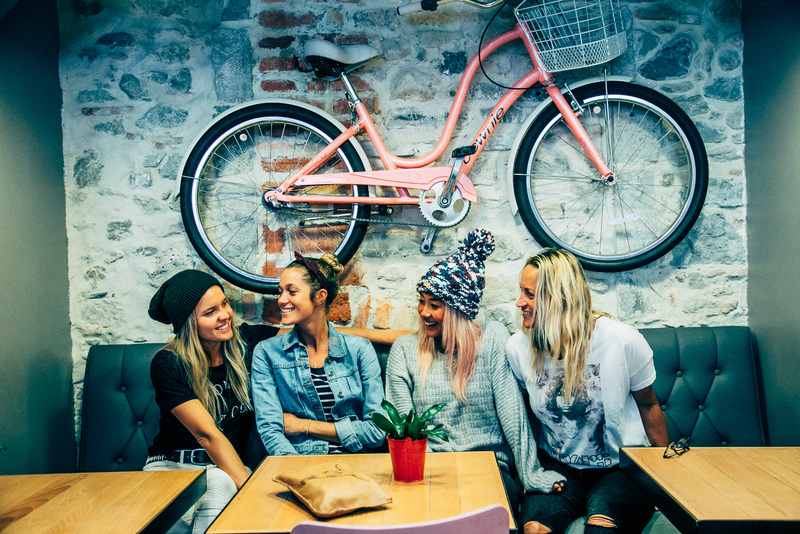 ROXY team surfers Stephanie Gilmore, Sally Fitzgibbons, Bianca Buitendag and Lee-Ann Curren will be competing alongside other top female surfers in the world from September 23rd-29th 2014 and battling for a potential world title. 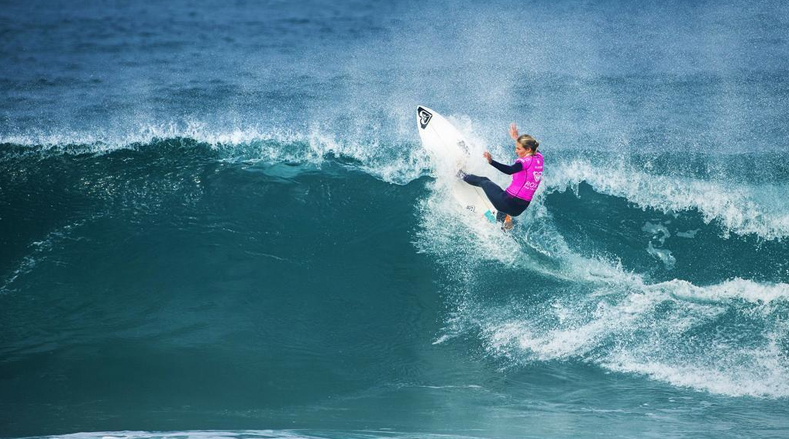 Don’t forget to tune in live by watching the contest on ASP’s website where you can watch team surfer and official ASP commentator, Rosy Hodge, break down the heats each morning! 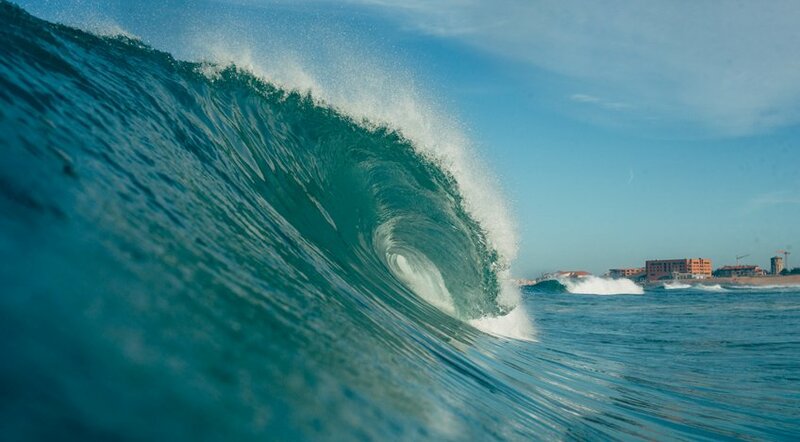 In the meantime, we leave you with this teaser to get a taste of what’s to come for the ROXY Pro France!